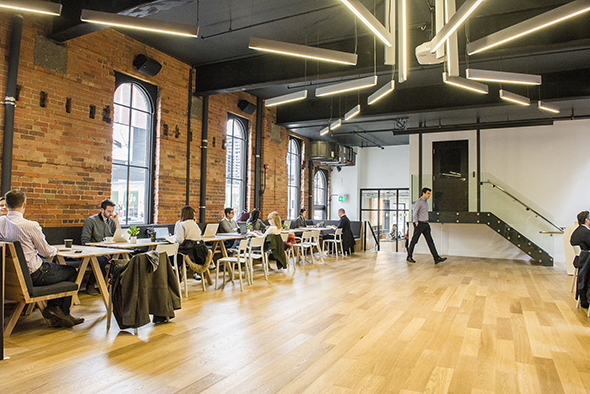 Coffee culture in Toronto is booming. From Thornhill’s Sorelle & Co., to Fashion District’s Quantum Coffee, there’s sure to be a coffee shop with latte art you can Instagram. 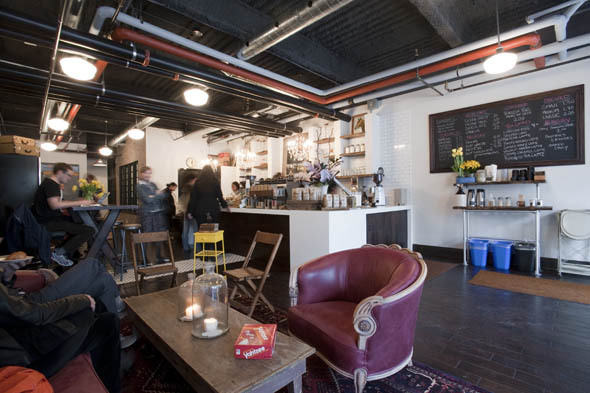 With coffee shops popping up in every area, it’s easy to find a cozy spot to have client meetings. The benefits of having meetings outside of the office? You get to leave the office for a bit, giving you a break from sitting at your desk. Creates a comfortable space for both parties. Meeting in a public setting relaxes the meeting, and makes it easier to connect on a more personal, rather than just a professional, level. Coffee is always a perk. Located in a revamped post office, this cafe is sure to bring out your inner Prince/Princess attending a tea party. The interior is decorated with sparkling round, diamond chandeliers, white couches and chairs fit for Royalty. Not only is Sorelle & Co. a worry-free* cafe with a ton of sweet treats to choose from, they also serve soup, salad, wraps and paninis. What we recommend: Crinkle Chocolate Cookie and a Soy Milk Latte. No dairy here. * Worry-free: They are completely gluten-free, soy-free, sesame-free, nut-free, preservative-free and vegan. Click here for more on Sorelle & Co.
With it’s laid back, hipster vibes and comfy couches, Rooster Coffee House is the place to take your chill clients. The staff is super friendly, the latte art is always on point (and delicious), and their baked goods are sure to satisfy your sweet tooth. Because you can’t have coffee without a cookie, right? What we recommend: any latte. Let them amaze you with their latte art skills. Click here for more on Rooster Coffee House. 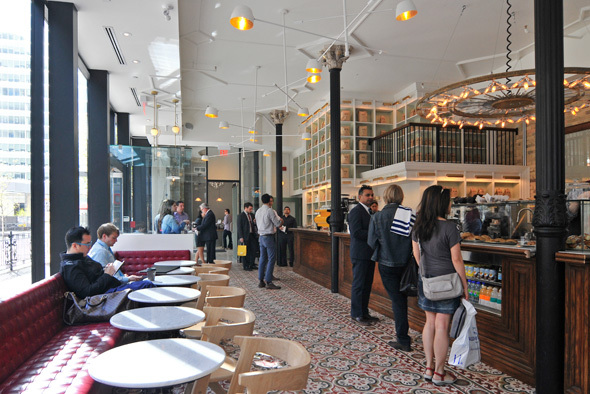 Located walking distance from Union, King, and Queen subway stops, Dineen Coffee Co. is a convenient spot for meetings. It’s impressive size compared to most Downtown Toronto coffee shops with lots of seating adds to the great atmosphere. There may be peak hours but you’re sure to find a quiet spot to sit and chat with your client or co-worker. 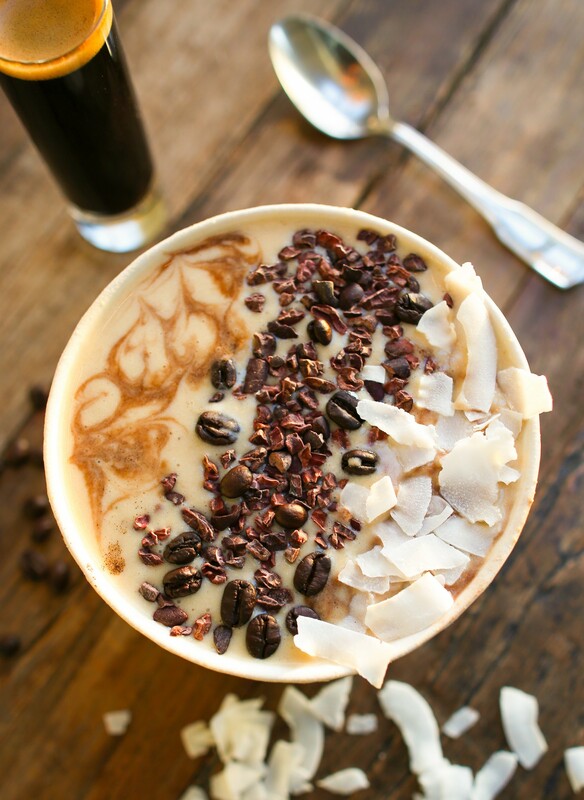 What we recommend: The Temperance Espresso Blend, and a fruit and yogurt parfait. Click here for more on Dineen Coffee Co. 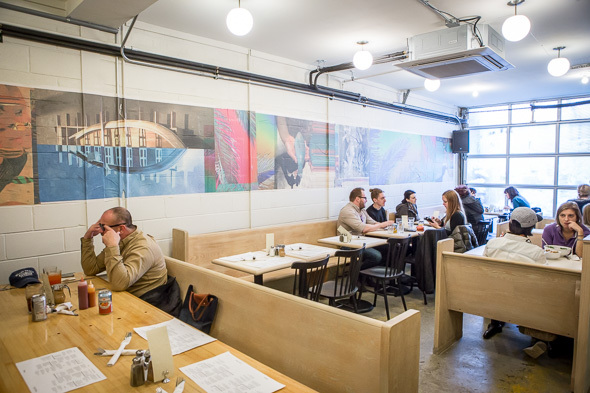 This Queen West cafe offers more than great coffee. Taking inspiration from Greek Cafe’s (Kafenio) for the name and the overall feel, Cafe Neon serves as a great place for any business meeting, or extended coffee break. 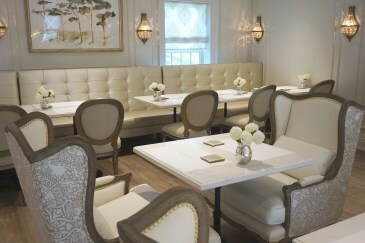 With tons of seating and a great lunch menu you can please your clients with just a coffee, or a lunch meeting. What we recommend: Winter Salad Bowl (add the goat cheese and grilled chicken). Click here for more on Cafe Neon. Yorkville is a hub for great coffee but 5 Elements Espresso is our favourite. A ton of comfortable seating to hold a meeting, spread over three levels. There are also a great selection of snacks, like protein balls or energy cookies to go with your warm drink, and lunch options. What we recommend: Matcha Almond Cookie. Click here for more on 5 Elements Espresso Bar. 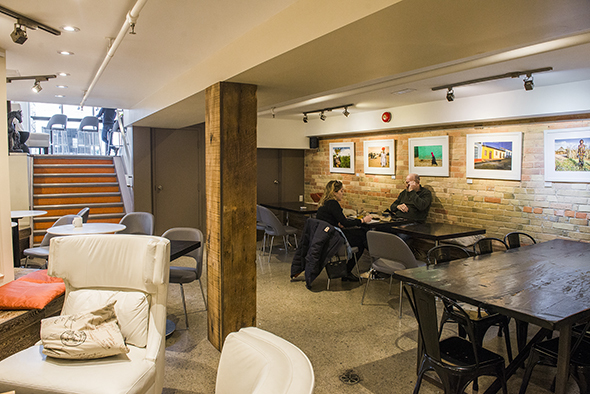 This spacious and airy coffee shop on the corner of King and Spadina is a great option for business meetings. Though there’s minimal seating inside the cafe itself, if you walk towards the back it opens up into a larger room with tables and chairs. This area is open to the public during the day and is an event space at night. What we recommend: Ethiopian Sidama Guji Pour Over Iced Coffee. Click here for more on Quantum Coffee. Follow us on our social media accounts for more fun! Between work, family, friends, personal fitness, eating properly and finding time for our hobbies, our hectic schedules can often feel like a balancing act. Most days, we need a little caffeine kick to give us that motivation to push through the rest of our to-do list. If you’re familiar with the world of public relations and communications, you fall into the category of most caffeinated profession (before police, teachers and doctors). The average Canadian drinks about 152 liters of coffee each year, placing coffee as the most commonly consumed beverage in the country (even before water). If you follow any of our social media accounts (@glo_comm), you’ll know one thing about TeamGLO is that we love our coffee. While most of us have fallen into the same daily Starbucks routine, TeamGlo wants to inspire change and add a little creativity to your mug of morning glory. Experiment with different ingredients such as bananas, rolled oats, cocoa powder, flax seeds, honey, cinnamon, frozen fruit, almond or soy milk, avocado and whatever else you can think of. 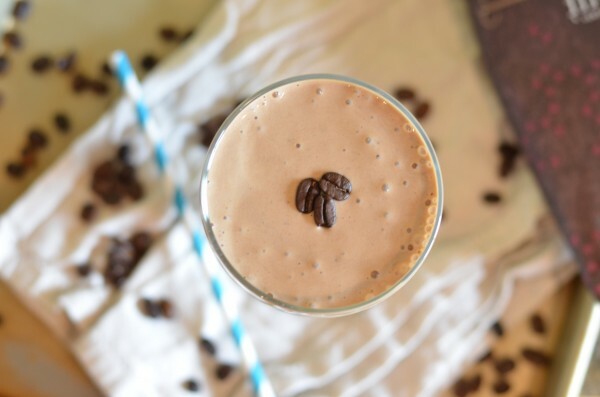 Ingredients and amounts will vary depending on the person and preferences, and keep in mind, trial and error is a critical step before perfecting your coffee smoothie. Bulletproof coffee has been taking the internet by storm and is increasingly becoming more popular for those who are choosing a healthy lifestyle. Like many health trends, people will often jump on the bandwagon without knowing the actual health benefits or how it’s any better from the old way of doing things. 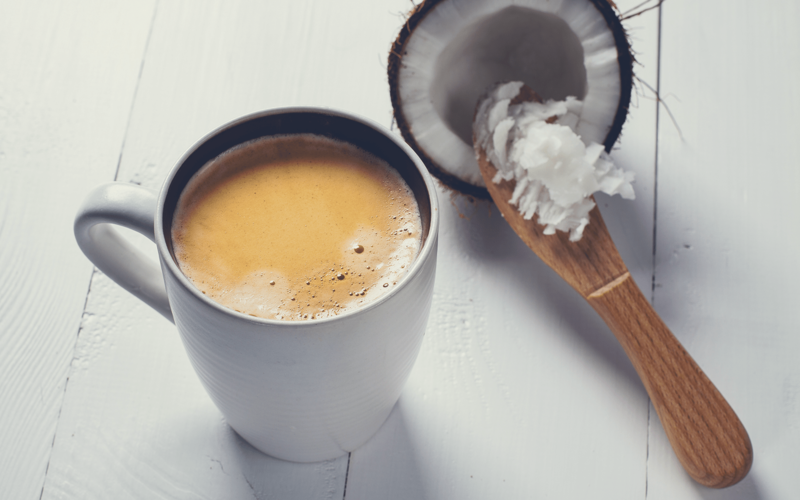 By adding a creamy fat to your coffee such as butter, coconut oil or coconut cream, the caffeine is metabolized which increases energy and cognitive function while regulating cholesterol. Sweeteners used in bulletproof coffees like cocoa, vanilla, honey and maple syrup are all significantly better for your overall health than the bleached granular sugar packets that are available at most coffee shops. Cinnamon and coffee is like PB and J, however what some people may not know is that cinnamon allows for glucose regulation for people with insulin issues. These are just a few of the health benefits of bulletproof coffee, although, we would not recommend using this to replace breakfast or any meal as it does not provide your body with all the necessary nutrients that you get from a nutritious meal. 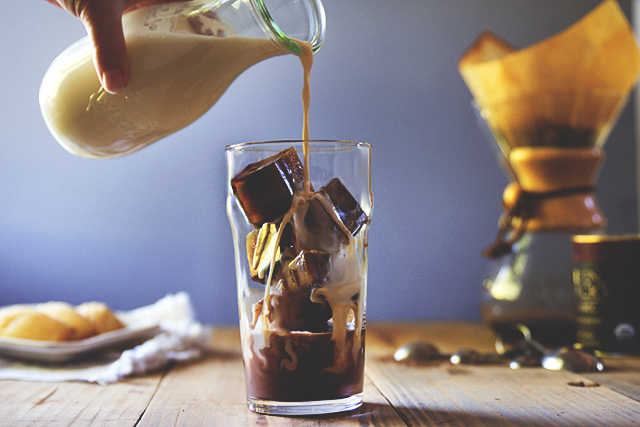 Not only will you save money by making your own iced coffee, but making it with coffee ice cubes make your drink less watered down and will give you that extra kick you need. Make one to two extra cups of coffee one morning and let it cool down while you’re getting ready for work or class. Before you head out, pour the excess coffee into ice trays and leave in the freezer for the rest of the day. They’ll be good to go by the time you need your next coffee fix! 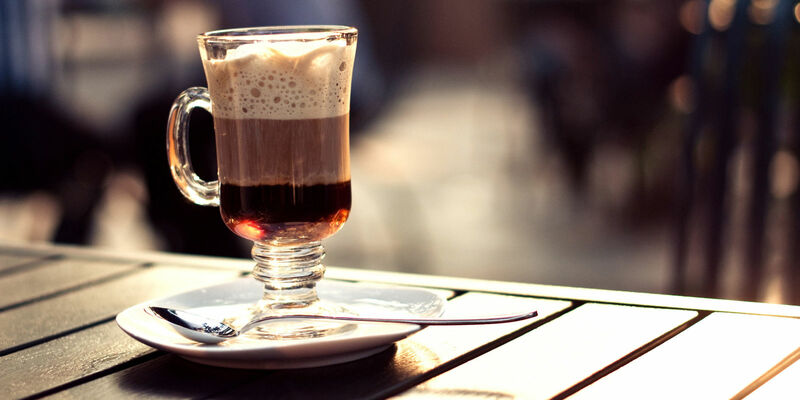 Coffee and alcohol is like Sonny and Cher– they just work together. There are so many specialty coffees you can make from the comfort of your own home as the perfect end to a dinner party or a long day. Add Bailey’s, whiskey, bourbon, sambuca or vanilla vodka to your cup of coffee to warm you and your guests from the inside out. As February flies by and we start to think about spring, it’s not surprising that most of us have already fallen off the New Year’s resolution bandwagon, we promised we’d stick to this year. Have no fear, it happens to the best of us. There’s something about a new year, the fresh starts and the new goals, which encourages the idea of bettering ourselves with a new hobby or ditching a bad habit. The unfortunate this is we tend to make these plans or goals based on the time of year rather than based on our own desire or willingness to change. Not to worry- it’s never too late to show yourself some love. 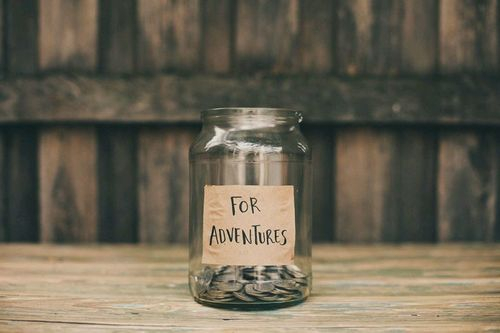 Whether your goal for 2017 is to lose weight or save up for your first house, we have created a guide for our readers who want to ensure 2017 can still be their best year yet. As we grow older, many of us lose sight of our hobbies and interests that seemed so important to us growing up. It’s important to not only know what makes you happy, but to keep that a priority in your life. 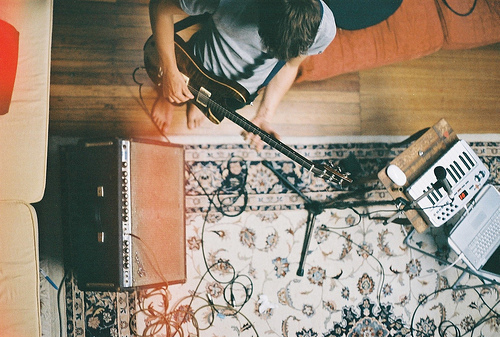 You can get back to those roots by taking some time to rediscover what you love. When was the last time you played soccer, or picked up a guitar, or danced to something other than the Top 40 they played at the bar last Friday night? Try to channel your inner child, the one you were before you become a ‘responsible adult.’ When you find out what really makes you forget about your responsibilities for a minute, you’ll rediscover a happiness within you that you may have forgotten you even had. Saying “no” is something a lot of us struggle with. Whether it’s saying no to after work drinks with friends, or saying no to your co-worker who has asked you to finish their media report for the third week in a row, saying no once in a while can really benefit your mental health, straighten out your priorities and have a positive impact on your overall wellbeing. It’s important not to think of this as rude or inconsiderate, but rather giving yourself what you know you want and need. For example saying no to those afterwork drinks because you really to want to unwind and catch up on Scandal, or knowing that doing your co-worker’s work is not really getting you any further in you position. By not committing to plans you never really wanted in the first place, you will feel significantly less stressed and have more time to do and focus on the things that you truly want to do. At the beginning of the year, people are filled with optimism and have a tendency to list all these new things they’re going to try. The reality is 90% of the list is rarely ever looked at throughout the year. Think about how long you’ve wanted to travel to Thailand, or how many years you’ve considered taking up boxing. Now think of how many times you’ve ever come close to acting upon it. To make 2017 a year you’ll never forget, think less and do more. We suggest picking one activity, club, event, trip or hobby that you would like to do in 2017- and working towards it. Whether it’s knitting or salsa lessons, trying something new, and working at it, will give you a sense of accomplishment and excitement to start your year off right. We all enjoy the occasional (or daily) glass of wine at the end of a stressful day to take the edge off. However, what many people forget is that alcohol is a depressant, causing fluctuations in our moods, especially during the winter months. People also tend to forget that alcohol is high in calories and sugar, not to mention a costly luxury. If you have any plans to lose some weight and getting in shape this year, or even save for that house, the key may be to cutting down your alcohol intake. This isn’t to say that you should set an unrealistic goal to cut out alcohol completely, but it certainly wouldn’t hurt you or your bank account to stay in once and awhile. There is various benefits mentally, financially and physically to cut back on this daily habit. If you read any books or articles on positivity and happiness, they will often discuss the importance of practicing gratitude. 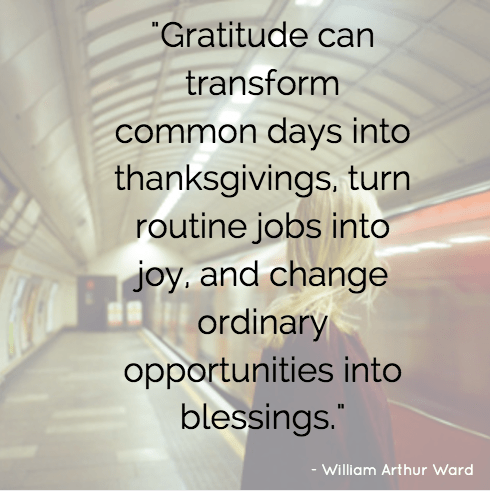 A positive daily habit to get into, before starting your day, is to simply write down or say out loud at least one thing you are thankful for each day. Specialists suggest this trains your brain to focus on positives rather than negatives, surely promising a brighter, more optimistic year for anyone who does it. Most of us have been so consumed by social and digital media for the last ten years or so, changing the way we socialize. Although it might not feel like it at the time, too much social media intake can have a negative toll on our mental health. We are increasingly sacrificing our face time with our close friends and family for our Instagram and Twitter feeds. We suggest choosing one day a week, or maybe every month, when you turn off your cell phone and leave all your social networks, texts, memes and emails for the following day. Use this time to catch up with an old friend, take a walk downtown or in the park, visit your family, read that book that’s been sitting on your shelf for months, maybe people watch or go to the gym (no flexing snapchats today, sorry!). Balancing your time and energy will keep you more in touch with the world and people around you. You’ll be surprised with how fresh you’ll feel. Healthy eating is the most talked about New Year’s resolution, with growing health food stores and whole restaurants dedicated to bettering your diet, you would think it’s an easy resolution to stick to. If you’re like the rest of us and had fallen off the healthy food bandwagon halfway through January, not to fret; there is an easier solution to quitting your love affair with junk food. Start with your normal diet and change one meal or snack a week to a healthier alternative, like carrots and hummus instead of all dressed chips. Or try ordering a bottle of water instead of a beer at lunch. The following week, try to change two snacks or meals. 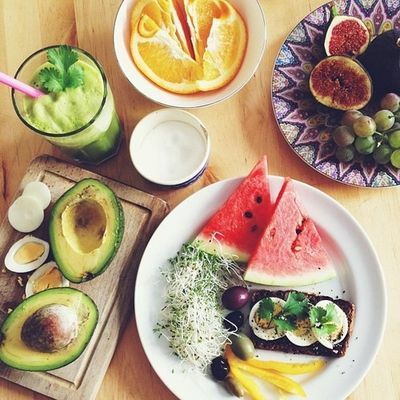 Gradually, you’ll start to look and feel healthier without cutting out everything you know and love at once. Instead of beating yourself up for not sticking to your 2017 New Year’s resolutions, take this time to ground yourself, find out what motivates you and be patient with yourself. By gradually changing up your everyday routine to better yourself and meet your goals, 2017 will surely be your best year yet. What are your resolutions and how are you sticking to them? Share with us on Twitter or Instagram!